Being stuck at home following surgery has led to a routine I've termed Netflix and Nap: a deeply depressing combination of sleeping through the first half of the day followed by drowning my boredom in mediocre television until I am required to put on pants to go into the world to pick kids up after school. This *sounds* nice in theory. And for about 4-5 days it is. For the remainder of the time, it's tedious. It is also necessary given the severity of my surgery (see here if you want to know more), so I am doing my best to deal with it. Having a pretty limited range of activities means that you have a considerable amount of down time to accomplish basically nothing, which can be excruciatingly dull. Once you've cycled through the immediately interesting movies and tv shows, read as much of that long forgotten book as you can stomach, and napped a lot, the boredom sets in. Like I said, about 5 days. Most of these are tolerable new afflictions, however the lack of purpose has hit me pretty hard. When all you have is time to contemplate, you tend to over-contemplate quite a lot. In my case, this has led to a directionlessness I'm finding a bit concerning. If I'm honest with myself, my list of goals is pathetically short, and I don't really have a solid set of hobbies to fall back on. I feel a bit like I'm having an existential crisis that I need to resolve. I need to find something just for me that resonates with who I was and who I want to be. Whatever the hell that is (I'm fully open to suggestions....I'm worse at this than you can imagine). I should be jumping into action, goal setting, breaking down barriers, and fearlessly pursuing my dreams. 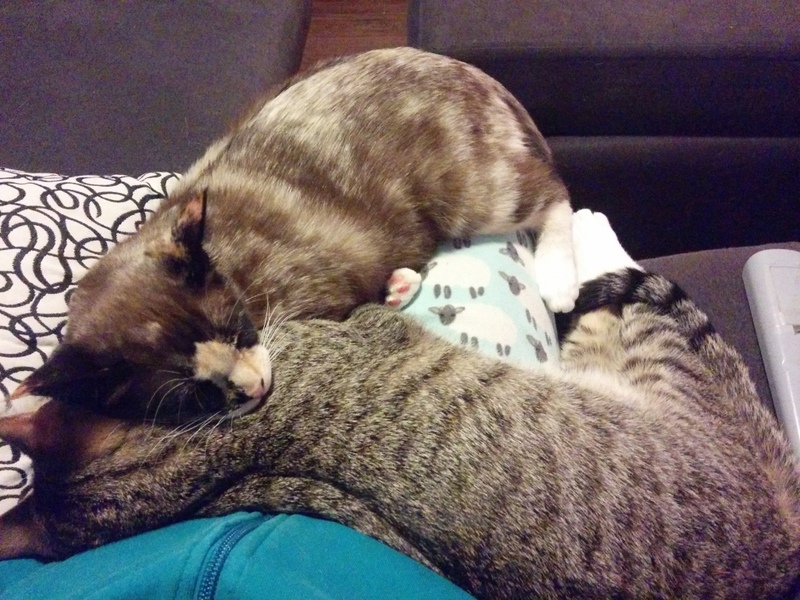 But first I need to move the cats, and frankly they're really comfy and would rather I didn't get up.